If you are constantly looking for professional interior decorators in Bangalore, then you are at the right place. At Bhavana interior decorators we provide reliable and affordable interior decoration to the clients across Bangalore. Our interior decorators have years of experience in designing all types of residential and commercial spaces. Be it a flat or apartment, individual house, shopping complex or mall, office space or showroom, our interior decorators can give a beautiful look to any space. additionally, we ensure that the decoration work is completed within the stipulated timeframe. 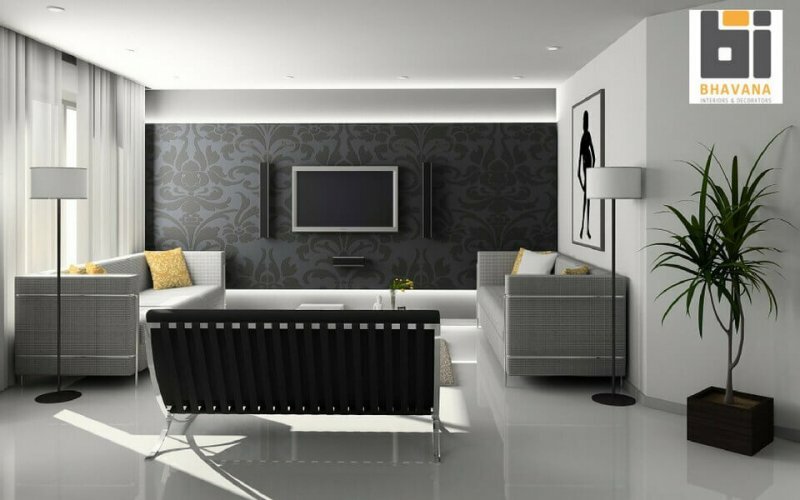 The key to beautiful interior design requires a component of passion, an eye for beauty and feel, distinctive creative ability, learning and experience, upgraded information on new items, techniques, and applications that are always developing in an exceptionally dynamic building material industry. The ability to make positive changes in individuals’ lives is prioritized in Bhavana interiors and decorators known as Best Interior Designers in Bangalore. We become more loyal to our customers, their needs, and personalities. This helps us characterize the scope of work and the direction that we take to bring to the project. You advantage from our years of experience, ability, and excellence. Experts at Bhavana interiors and decorators study the architectural plan of the site and conceptualize the different schemes and plans that can transform the site according to the necessities, needs, and desires of the customers, documented and got from the meetings of the preparatory gatherings with them. These ideas are then envisioned through rendered graphics and the same is exhibited to the customers with rough evaluations of expenses. Advancements in the building industry have given the clients a wide exhibit of choices under various budgetary benchmarks. Our unique points made us stand in Top 10 Interior Designers in Bangalore, we have a broad database of materials and their suppliers with particulars which are continually updated. In close coordination with customers and merchants, material requirements are organized in terms of quantity, colour, texture, technical specification, providers, cost, and delivery lead times. The tabulated information is mentioned in material requirement plans. Fully detailed cost sheets are set up from the information arranged in the previous exercise and coordinated with the budgetary constraints given by the customers. In the event that there is overrun then a special negotiation is undertaken in renegotiating deals. to fit the requirements within budget plan without compromising on the planned material. In unavoidable cases, the material requirements are modified to fit the budgetary constraints. Over the years Bhavana interiors and decorators have created relations with quality contractors that have practical experience in usage of designs. Working with such contractors over a time frame has brought about enhanced levels of understanding in working styles and quality specifications. Bhavana interiors and decorators Best interior decorators Hebbal prescribe the utilization of their approved contractors to customers. Be that as it may, customers have the choice of utilizing their own contractual workers and Bhavana interiors and decorators give guidance and supervision. The capacity to make a good design alone won’t make one a successful designer. One must be a good administrator. Therefore an efficient individual task supervision clubbed with an overall project management system is inherent to Bhavana interiors and decorators administrations knew as best interiors for residential, corporate, educational, healthcare, spa and beauty salon interior designers in Bangalore. This guarantees quality implementation of the project and issues get to be anticipated instead of surprises. Remedial moves can be made so as to guarantee timely completion, thus controlling cost overruns and wastage.